There has been radar at RAF Wartling since 1941 when a GCI radar station was constructed on the opposite side of the road to RAF Pevensey (RAF Pevensey was a Chain Home early warning radar constructed in 1938). 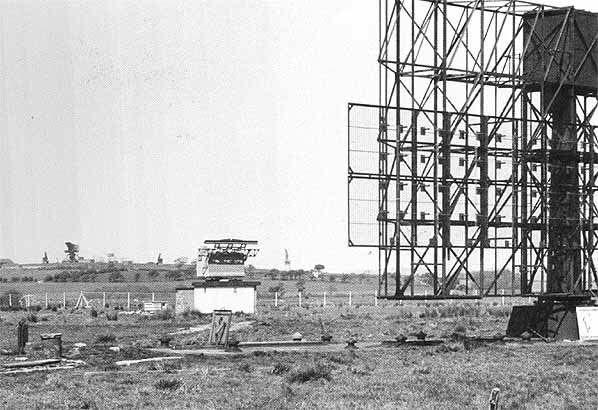 Following WW2 when radar was overhauled in the UK, RAF Pevensey was closed in 1945, and RAF wartling continued operating as a GCI station and in 1950 was earmarked for upgrade under the ROTOR program by providing a new protected operations centre and radar. Construction on the post war site for RAF Wartling and its R3 GCI/CEW underground control centre began in 1951/52 and was completed by 1955, 2 years behind schedule. It was constructed in a completely new location as investigations of the WW2 era Happidrome site revealed that the water table was too high which rendered building an underground structure impossible, so the underground structure was built up on the hills above the Pevensey levels. However the type 7 radar head remained at the original WW2 site. The station takes the form of a 2 level bunker made of 10 inch thick, tungsten reinforced concrete and designed to withstand armour piercing bombs. It was not, however, proof against a direct hit from a nuclear weapon. In the 1950’s the site operated alongside other ROTOR bunkers at RAF Truleigh Hill and RAF Fairlight but in 1958 these sites closed and RAF Wartling was upgraded to Master Radar Station and was able to perform all the CHEL/CEW and GCI functions and was solely responsible for air defence south of the Thames to French airspace. RAF Wartling continued this function until 1964 when it was stripped out and placed on care and maintenance, its function being taken over by RAF Bawdsey in Suffolk. It sat in this state until 1976 when it was sold to the Marquis of Abergavenny, and at which point the Guardhouse bungalow and Type 80 Radar building where converted into private residences. The bunker remained in good condition at this point with working lights, and fittings. 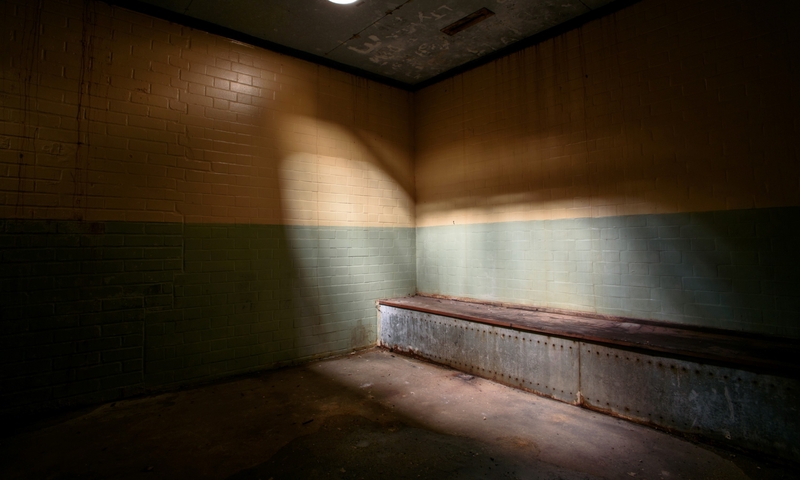 However over the intervening years the bunker suffered badly from vandalism and theft and water ingress (which completely flooded the lower level). Things carried on this way until 1996 when a failed attempt at pumping out the water was undertaken  this was abandoned when it became apparent that the pumps where not up to the job. The pumping was re-attempted by Subbrit (this time successfully) in 2004 and some 2.75million litres of water were pumped out of the bunker. 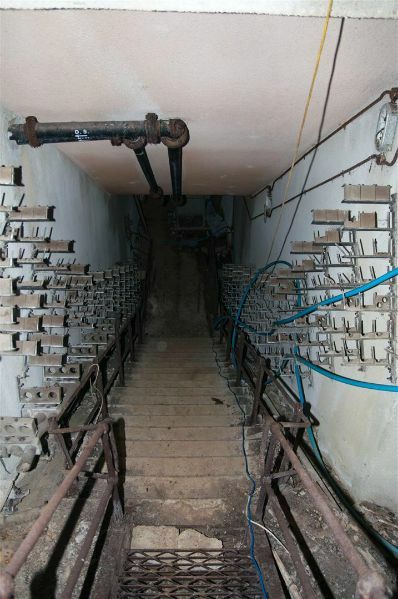 It was thought that the bunker would be left to flood again and was sealed accordingly, however the land owner is interested in preserving it and indeed it is an interesting site as it is one of only a few accessible ROTOR bunkers that is still in its original configuration as many were found subsequent uses and heavily altered internally. As a result of this a small contingent of volunteers from Subbrit and KURG undertook to perform some remedial works, not to restore the bunker, but rather to stop it deteriorating further. The following works have been completed, and the bunker is now dry with only the lower level sump having water in it (as of Sept 2016). Future plans include continued cleaning and making good to enable access to all rooms, including plant room and installation of new flooring and walkways. If anyone has any memories or would like to get involved with the preservation works please contact us via our contact page. Note water level – this is now all gone! The following photos have been taken after extensive work has been carried out in the bunker to stop it deteriorating further. 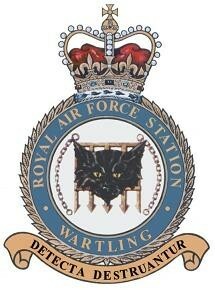 Below is a selection of information related to RAF Wartling. For work day photos, click the photo below.